Sometimes I hope to impart great knowledge and useful skills onto those of you in cyberspace who swing by the ole blog. Sometimes I just want to remind you of something delicious and be a resource for you when you can’t think of what to cook or serve. Today is the latter. There’s nothing to cook here. Nothing difficult to make. There aren’t many ingredients and you probably already know how to throw this together. But maybe you hadn’t thought of it yet. Just maybe. 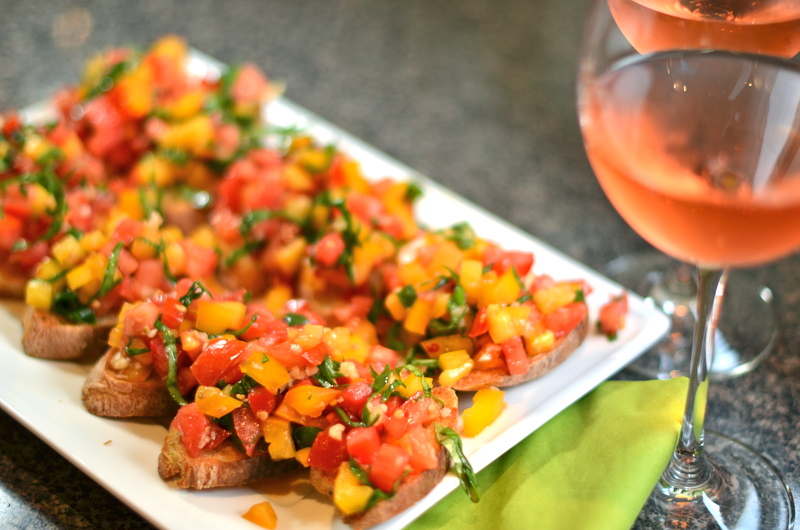 Bruschetta is my favorite summer treat. Favorite. It’s a little too early to be harvesting these things from my own garden (however, if you were to need some weeds, 16 lbs. of oregano and some rocks, you’re in luck), but the farmer’s market seems to be in full swing with Florida tomatoes and giant bunches basil from somewhere nearby. I finally let myself start thinking about bruschetta when there are yellow tomatoes at the market. I love a yellow mater and they were perched ready for the plucking on Sunday. So pluck I did. 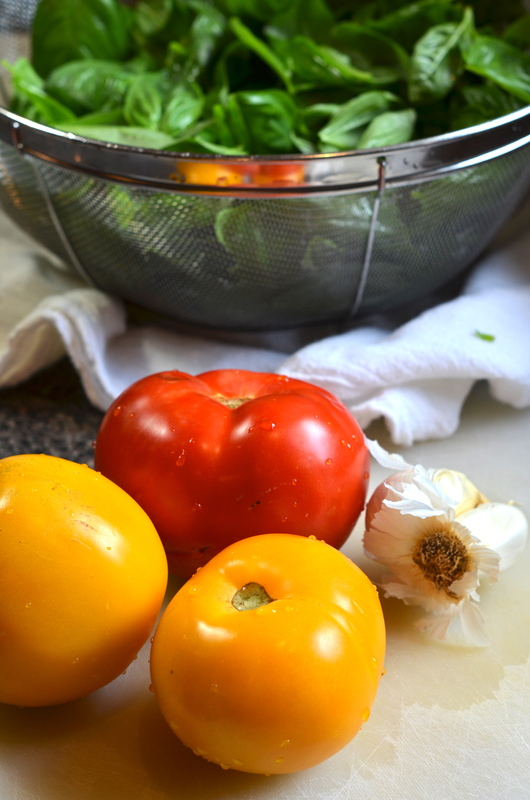 Wash and dry the basil and tomatoes and get to choppin’. Such pretty colors. 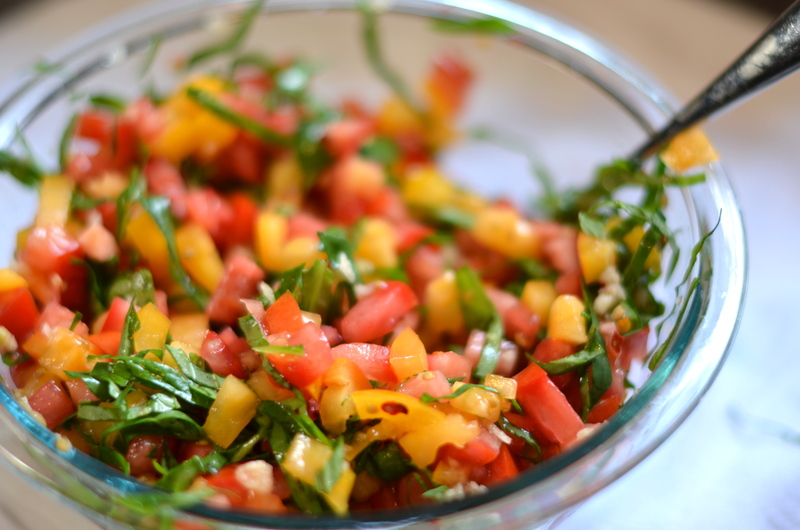 Into a medium-sized bowl, add the chopped tomatoes, minced garlic and the basil (which you have cleverly chiffonaded). Pour the olive oil over the mixture and season with the salt and red pepper flakes. I like to let the mixture sit for about an hour but you don’t have to. Sometimes I don’t. 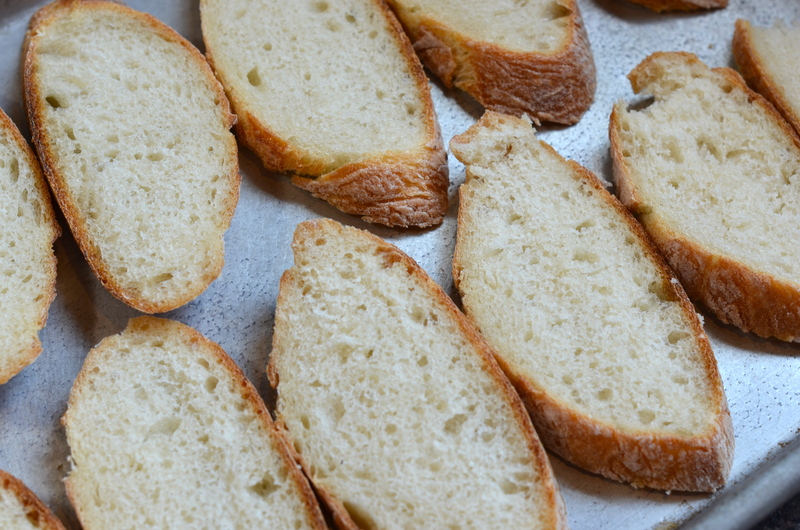 When you’re ready to snack, grab a baguette and slice on the diagonal. Place on a baking sheet in one layer and drizzle with a bit of olive oil if you feel so inclined. Broil for a couple minutes, keeping an eye on your toasties, until the edges begin to color. When the toast is toasty, pull out the pan and grab a serving tray. Top each of them with as much tomato and basil mixture as is physically possible. Crack open some pink wine – another summer favorite – and enjoy the long light on a late Sunday afternoon. 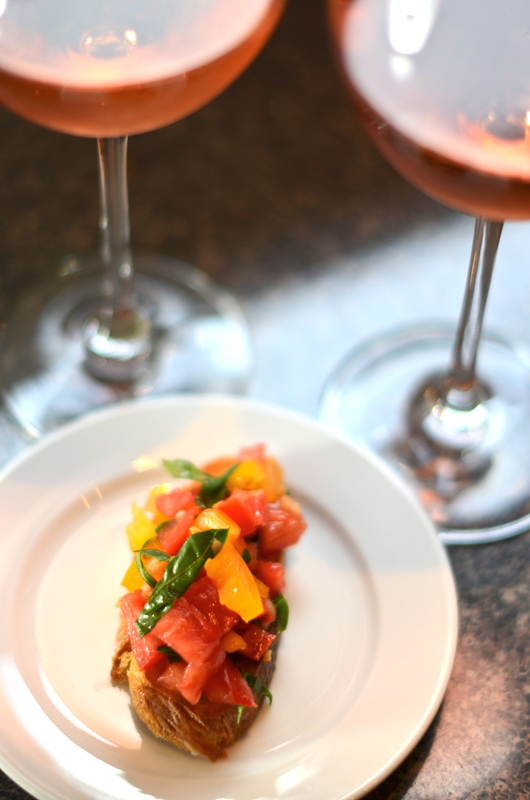 Love the traditional bruschetta, but always on the lookout for something a bit more on the edge. Intrigued by the urban twist on this classic but you failed to mention the proportions of weeds, oregeno and rocks in your post. Help! Just to make sure everyone knows, it’s weeds (plural). I’d say probably 4:1:1 – and try to find tiny rocks. Mmmm….’maters on toast. Also, I’m a sucker for a blushing glass of wine. That looks like something I’m going to need to try soon. Also, I’m with you on weeds and rocks. If I could feed my family on just those things, I’d never need to go grocery shopping again. Let’s work on that.